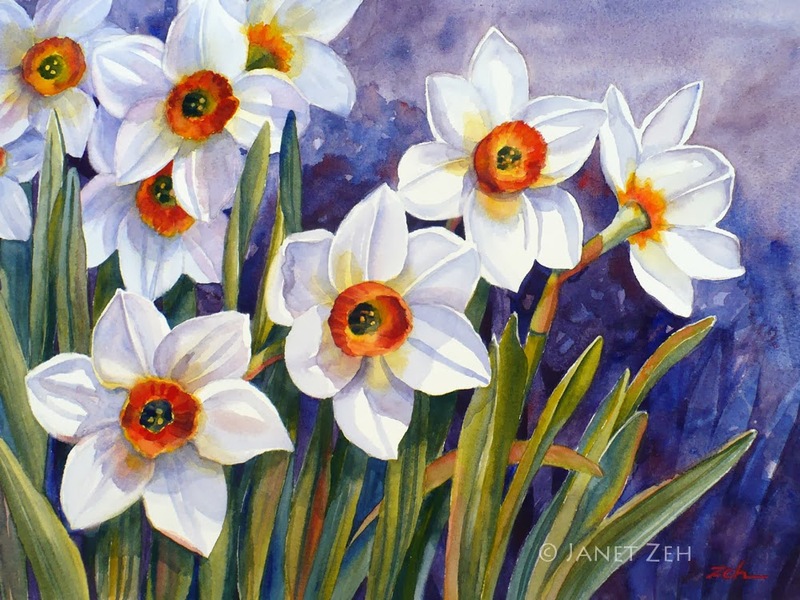 Discover the lush beauty of nature paintings by artist Janet Zeh: flowers, birds, seascapes, landscapes & custom art. Colorful Spring daffodil flowers from my garden. Narcissus Flowers Print is available in several sizes and can be framed, unframed or printed on canvas. Click the Order Print button below to see sizes, options and prices. All images & content Copyright ©Janet Zeh 2016. Powered by Blogger.